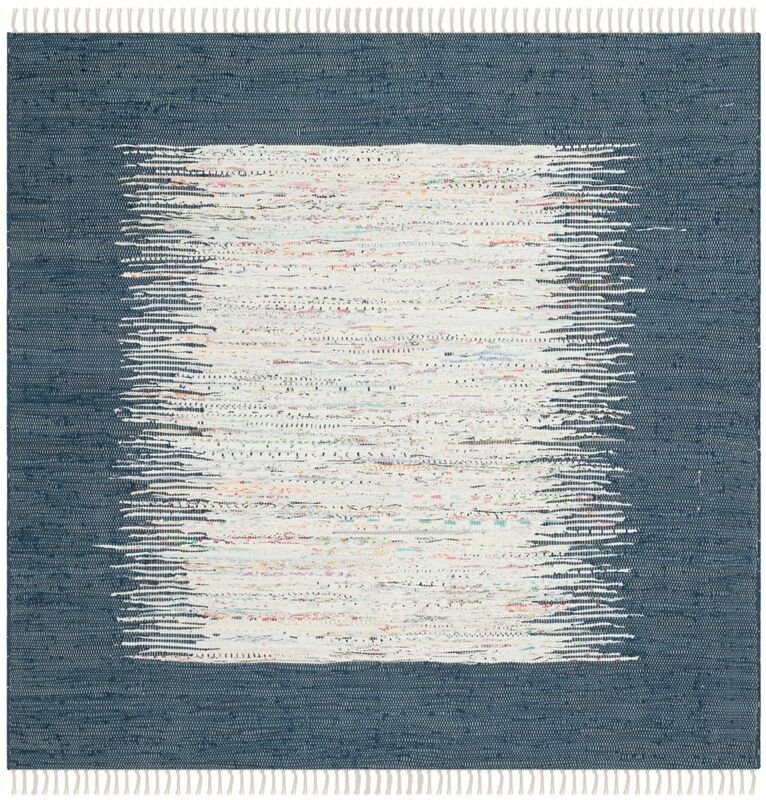 Montauk Delroy Ivory / Navy 4 ft. x 4 ft. Indoor Square Area Rug The Montauk collection captures the essence of casual designer styling in flat weave rugs that complement homes from coastal to contemporary. Hand-crafted in India of cotton for clarity of colour, Montauk rugs are woven to create classic Ikat tie-dye effects. This is a great addition to your home whether in the country side or busy city.